If you are looking to sell iPhone in San Diego, we are used iPhone Buyers in San Diego. We pay cash for iphones in San Diego. Selling Samsung Galaxy Phone in San Diego ? We are used Samsung Phone Buyers in San Diego. We pay cash for Samsung Galaxy phones in San Diego. Selling Laptop Computers in San Diego? We are used laptop buyers in San Diego. We pay cash for laptops in San Diego. Laptops must be 6 months old or newer. Selling computer in San Diego? We are used computer buyers in San Diego. We pay cash for computers in San Diego. We do not buy older laptops or computers as technology advances very fast and they get outdated quickly. Please call us with computers or laptops that are 6 months old or newer. Selling ipad in San Diego? We are used ipad buyers in San Diego. We pay cash for iPad in San Diego. If you are looking for a place that pays CASH for used electronics you have come to the right place. Selling TV in San Diego? We are used TV buyers in San Diego. We buy used smart TVs that are 6 months old or newer. Jewelry Buyer locations in La Jolla, Downtown San Diego, Clairmont Mesa & Chula Vista. 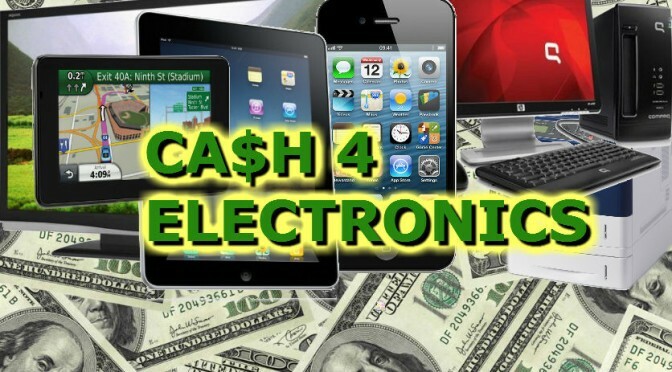 To sell used phones, sell used computer, sell used laptop, sell used Samsung, sell used TV, sell used ipad call us today at (619)270-1132 or stop in at our showroom store.